Wounded and on the run, Cade Gentry stumbles into a kind man who’s on his way to become the new pastor of Angel’s End. But not long after Timothy Key takes him in, Cade’s enemies catch up with him, and the young pastor is killed in the crossfire. Cade survives, stealing Timothy’s identity to escape, and arrives in Angel’s End on the brink of death. Leah Findley is the sheriff’s widow, trying to make ends meet for herself and her son. Having the new minister as a boarder will help, but she isn’t expecting him to be wounded when he arrives. And she definitely isn’t expecting the feelings that the new preacher stirs deep inside her. I spent a good chunk of the last day finding anything I could around the house that would keep me busy so I could avoid finishing Angel's End. Oy, I know that sounds kinda bad but really it's so not what you're thinking because I absolutely loved this book. I kept stalling because I just didn't want my time with Leah and Cade to actually end. The set up is pretty interesting with Cade taking on the identity of the town's pastor after his past catches up to him and the real man on the way to be Angel Rest's pastor ends in in the cross-hairs with deadly consequences. Arriving in town gravely injured they take him in, assuming he's Pastor Timothy, and everything just happens from there. I loved both Cade and Leah, the woman who was providing housing for the town's new pastor. There are so many differences between the two but deep down just as many similarities. I really liked the two together as well. They just felt good together and I loved all of those casual intimacies that popped up between them because of the close quarters. And oooo things got a little steamier than I was expecting too! 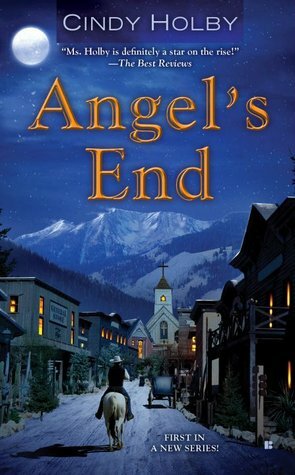 With characters that are passionate and caring, hidden identities and a look into life in the American West and all of the difficulties it brought with it Angel's End had me both captivated and charmed from page one. I'm really looking forward to reading more from Holby and getting to hear the stories of all the other townsfolk. From the Salon owner and his "soiled dove" to the local rancher that's been pining away fro Leah. They're an interesting lot and if the next book is anything like this one it's going to be amazing. Cindy Holby first became published in 2002 with her historical western Chase The Wind. Since that time she has written eleven historicals, three sci/fi romances, one time travel, four young adult novels and two short stories. Some have even won awards. Her latest release is Angels End, from Berkley, the first book in a new historical western series. This November, Ashes Of Twilight, the first book in her highly anticipated steampunk dystopian series will be released from SMP under the pen name Kassy Tayler. 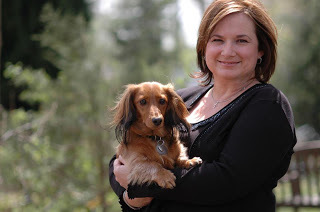 Cindy lives in NC with her husband Rob, her doxie Cody and two cats, Cisco and Dax. 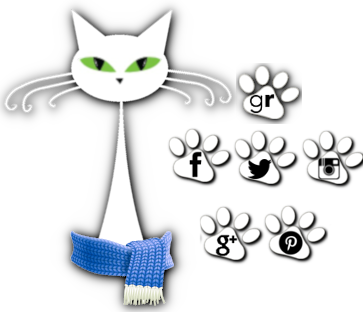 She also works with the humane society and has a blog about rescue titled Authors For Animals. Oh I love the names of the town and businesses! So neat! Sounds like you found another good one Anna! It turned out to be a really good reading month. I can't believe how many new authors I have now that I just adore and can go check out all their backlists :) And book 2 in this one just released so now I can run up and grab that!! Yay! LOL glad I'm not the only one! Usually I can't wait to see how it all ends but this time I just kept thinking...but then it will be over!! LOL makes no sense but man it was great! I haven't read a western historical romance in a while - I'll have to look for this one. They're kinda nice to try now and again. Hope you enjoy it! Sounds like a sweet, contemporary read! It was a pretty great one. Has me very excited about trying more of them out! What an interesting story line. You are a new to me author and I'm looking forward to learning more about you and your books. Great review...I'll check this out! I've read several books that I've found myself delaying the end. Those are the best and I find myself hoping there will be more in the future so I can revisit with the characters I fell in love with. This one sounds really good. Pretty book cover. I am going to be adding this one to my reading too. Sounds really good. Hmmm, I'll have to look into this book, it sounds pretty good. Great review. The characters and story line sound interesting. Thanks JMC! They really were. I can't wait to get my hands on the next one! I hope you give it a try Lori :) It was a really nice surprise! This sounds very good, and a man who doesn't believe in God is supposed to act like a priest? He should have been the new sheriff, I think that would have fitted him better. And I do know the feeling when you don't want a book to end at all. I love historical romances but until recently I had basically stuck with mostly European settings. I never thought that I could get into the the Wild West thing and then I read Wyoming Bride by Joan Johnston. Surprise, Surprise, I loved it! So yep, now I am keeping an eye out for American West Romance reads. Angel's End sounds like just the book to continue my exploration of the sub-genre with. Love this review, what an interesting story line. Must check this one. I have not read a western historical. Thanks for the review. Never read this type of storyline before but sounds great!